A new partnership between the Department of Radiology and the Sauder School of Business is helping physicians gain a stronger understanding of the business world. “Unfortunately, physicians are typically not well trained in business,” explains Bruce Forster, Head of the Department of Radiology. But it wasn’t until Dr. Forster audited a physician leadership course organized by UBC Sauder and the Provincial Health Services Authority three years ago that he realized the promising relationship between medicine and business, and an intriguing solution to this problem began to take shape. What was born from Dr. Forster’s initial musing was a new relationship between the Department of Radiology and UBC Sauder, along with the Canadian Association of Radiologists (CAR) and the Canadian Radiological Foundation. The partnership has so far produced two Executive Education courses targeted at Canada’s radiologists, helping to effectively bridge the once large divide between business and medicine. In today’s world, more than ever before, physicians may find themselves filling the roles of founder, CEO, and manager of their own medical services business, while also navigating the responsibilities and skill requirements that those roles demand. And the medical community agrees. A recent article in the New England Journal of Medicine’s online publication Catalyst found that graduating medical students lack the fundamental business and leadership training needed to maximize quality and reduce costs in a clinical practice. In fact, it’s only within the last few decades that students have decided to supplement their M.D. degrees with programs in different disciplines. For example, the number of joint MD/MBA programs in the United States grew from six to 65 in just 20 years, and currently, it’s estimated that more than 500 students are attending those programs across the country. 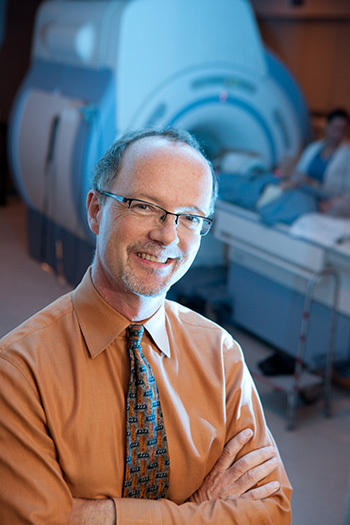 For Forster, the two courses developed so far by UBC Sauder and the Radiology department are meant to act as a primer, teaching the essential business principles that are key to addressing current challenges faced by Canadian radiologists. Last year’s program – co-moderated by Dr. Forster – was delivered at the annual CAR conference and focused on elements of operations management and leadership, while this year’s workshop delved into negotiation. Dr. Lee attended both courses, which gave him an opportunity to gain knowledge from key leaders in the field of radiology while also improving professionally. The courses’ impact could reverberate beyond radiologists’ own individual practices, by identifying potential efficiencies in the health care system, said Bruce Wiesner, Associate Dean of UBC Sauder’s Executive Education program. “Ultimately, as education providers we want to create this kind of sustainable impact for organizations and individuals through these kinds of learning partnerships,” Wiesner said.